The school is based on two sites, one primary and one secondary. Primary-aged pupils are taught in mixed year groups, with other pupils who attend the pupil referral unit. All students who attend NHLC have an EHCP related to their areas of need. 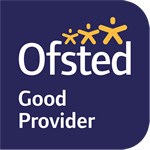 Our most recent Ofsted report is below. We are really proud of the outcome and would like to thank staff, parents, carers, governors and students – as you are all part of the success that is New Horizons Learning Centre.